Great product would recommend it to anyone. Has good balance. Keeps it's edge well. 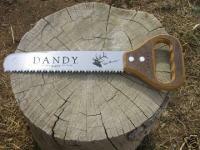 Great product for an avid camper! I am very pleased with the product and with the service provided by your company. 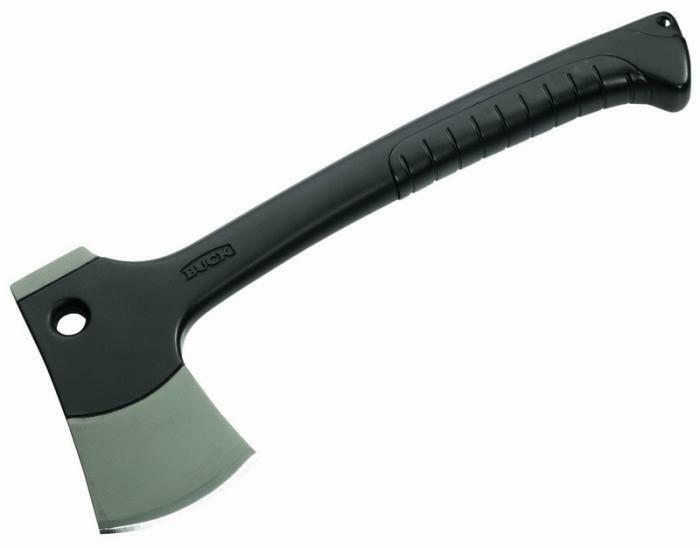 I finally had an opportunity to use my Buck Camp Axe and it performed very well. It was out of the box sharp. 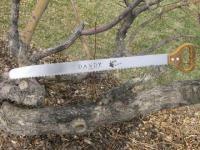 The handle was long enough to be effective (6 to 8 swings to chop through a 3" limb) and light enough to carry. What more could you ask for? 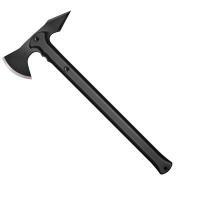 Lighweight camping/backpacking axe. 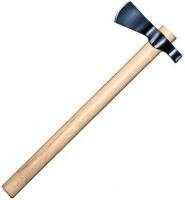 Good for splitting kindlings and small logs. 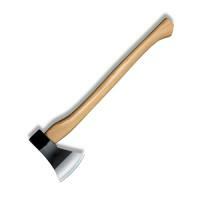 The back of the axe is shaped to use as a hammer for tent pegs, etc. ABS handle is hollow but is very sturdy. The only improvement I suggest is its sheath/cover. 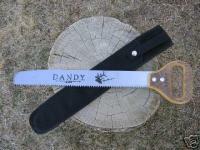 It covers the blade and uses a velcroed strap for securing. It's a little cumbersome and easy to lose. Buck Knives makes the perfect knife for everyday and outdoor recreation use-hunting, fishing, camping, hiking, backpacking, climbing, diving, boating, survival, tactical, defense & rescue. Collectible & custom knives. Related products, equipment & accessories. Buck Knives is the #1 recognized brand in sports cutlery, with over 100 years experience of making knives. 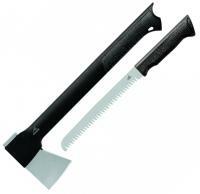 We make each knife with the highest quality stainless steel alloy, specially chosen for the use of the knife. Then, we use a proprietary process developed by Paul Bos to heat-treat our blades for optimum performance and durability. Our Edge2xÂ Technology creates a blade that is sharper out of the box, holds its edge longer and is easier to resharpen. Buck Knives pioneered the concept of end-use categories to match the needs of the user. With in-house engineers and collaborations with professional knife users and makers, we tailor the design, materials and construction to match the intended use of each knife.